Abilities: Large Creature. Aura of Healing. Celestial Purging. Purified Soul. 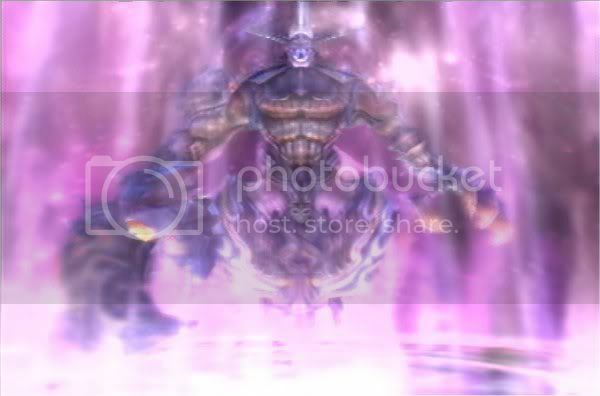 Aurenthils are the celestial equivalent of the fiendish Nightmares. As opposed to the Horror that surrounds their evil cousins, the mere presence of an Aurenthil is enough to heal even serious wounds. 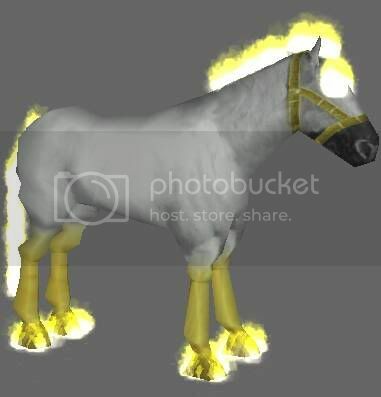 This celestial creature is so pure with its soul that it can not turn around and attack its own allies, no matter the spells and artifacts used. 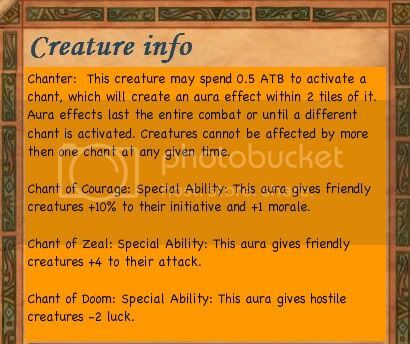 Moreover, this holy creature has the ability to purge and cleanse all negative effects from its allies or even itself, also being able to dispel any damaging effects or objects created on the battlefield by magic. Being a creature of good doesn't make it weak or peaceful, as the Aurenthil can strike with huge ferocity especially at the evil creatures of darkness. Celestial Purging: This creature can use a turn to call the divine powers to dispel ANY negative effect placed on an allied stack (no matter where it is) or even on itself. 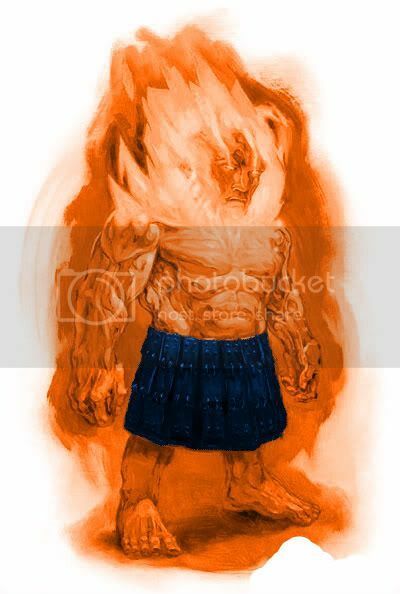 Moreover, it can also target a tile on the battlefield, in an attempt to dispel an area of effect, like Firewall, Lava Dragon's lava breath, Firetrap mine (if you happen to target the tile where it is positioned) and even Arcane Crystals (they are dispelled, not destroyed; they disappear without doing any damage). However, it can not dispel the Blades from the blade barrier. This ability has unlimited uses. Edited by Blizzardboy at 20:56, 10 Dec 2008. In the celestial abode of Akrath, the Dragon of Fire, dwell a host of dwarves that were poets, storytellers, and musicians in life. These precious and honored keepers of dwarven lore can be called to the mortal realms to serve as celestial agents for Akrath and fight alongside their dwarven kin who have yet to pass on to the other side. They are a beckon of hope to the dwarven people, and with their visitations, intense drinking contests, celebration, and fellowship always ensue, as well as many long and elaborate rituals performed by the priests to commemorate the Dragon of Fire. On the battlefield, not only do they fight with their mortal kin using their magically enhanced fists, but they sing the ancient chants of their people, inspiring power within their kin and dread within their enemies. Though these honored skalds are fairly vulnerable for a creature of their high caliber, they�re spirits only partially dwell within the mortal realms, and so there is a chance an attack will whisk right through them. Spirit Skalds rarely visit the mortal realms during times of peace, though when havoc strikes the dwarven nation, these agents never fail to make an appearance at some point in time. @Asheera - They seemed a bit .. forced. It's hard to put into words, but it seemed the creatures were first created as something else and then 'shoved' into crystaline form. Like I said..seemed. There's a lack of participants this round. It was to my understanding that the deadline for this contest was not even set yet, so, suffice to say, I have not been in a hurry to create an entry. Rest assured, this contest is not dead, and there will be about the same amount of participants this round as the last. Edited by Fauch at 12:48, 25 Dec 2008. Edited by Mytical at 13:21, 06 Jan 2009. Ok only two entries, so fairly straight forward. Is there going to be a new round, or are people not interested anymore? I can do a Celestial, but I'd rather not...However, extend the deadline to Saturday and I can get my entry on the books. Edited by blizzardboy at 01:46, 07 Jan 2009. Woo hoo! Silver medal. I knew I would do well that round. It looks like this died out though. It had a good run. Well, what's this weeks theme supposed to be? I believe the final round is Horror. Since it is the last, let us make it a 3 week (friday of the third week from now) deadline. 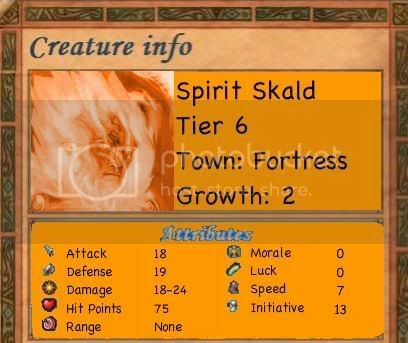 Can I use the Phyluth I made some time ago? Abilities: Invisibility. Chameleon. Hexing Attack. Rapid Strike. Swift, invisible and deadly monsters - that's the perfect description for these extremely fast creatures, which originate from the Underground caverns where the darkness covers them and allows them to attack their prey unprepared, this being the most favored of their attacks. However, most of them adapted to the surface as well - their strange skin allows them to change into any color, and camouflage with the background. When encountering Phyluths, usually everyone starts going crazy and striking blows in every possible direction, but it almost never works as the invisible Phyluth is so fast that it can dodge those attacks and strike from the opposite direction. Even after the strike, nobody can be certain where these creatures are, as after the attack, with their extreme speed, they could already be far away from the victim. These creatures are so fast that if an enemy is slowed by a curse, they strike twice before the enemy even realizes this. 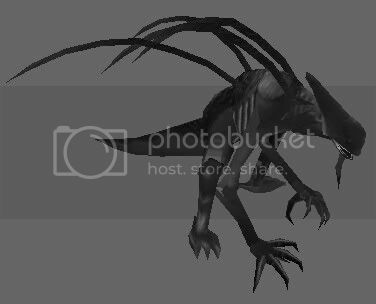 The Phyluth's special claws and teeth also weaken the enemy by applying some form of curse on them. Chameleon: When being Invisible, attacking an enemy creature does not reveal the Phyluth (meaning going visible), and neither does moving adjacent to the enemy. In other words, once going Invisible, the creature does not go visible until the Invisibility duration has passed. 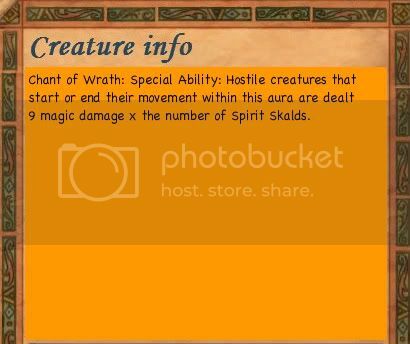 This also means that the creature won't receive Retaliations when Invisible, and can't be targeted except using AOE spells. 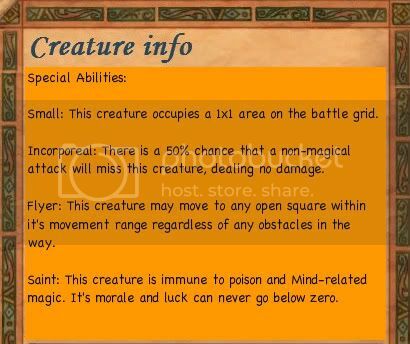 Note that this ability is very useful because even though Invisibility lasts only for 3 turns, the insane Initiative (21) allows the Phyluth to attack a lot when Invisible. Rapid Strike: If attacking a creature under the effect of Slow spell, the Phyluth strikes twice instead of only once. Both attacks happen before the Retaliation of the enemy, if there is any and the Phyluth is not Invisible. 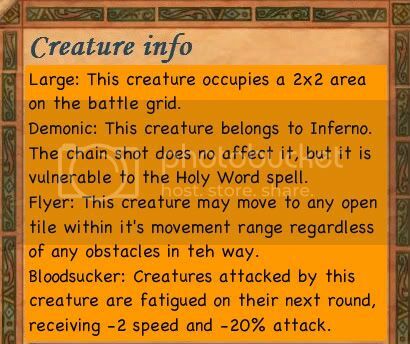 Note that if the Phyluth attacks a creature which is not under the effects of the Slow spell but Hexing Attack applies Slow on it in this attack, then the Phyluth will strike twice and before the enemy retaliates. Hexing Attack triggers on both strikes as well. Edited by Fauch at 17:52, 13 Jan 2009. Often mistaken with the reaper, the condemner is another agent of the death, although his role is slightly different. While the reaper takes the lives, the condemner takes the souls, meaning he is the only one who can destroy the vital essence of a being. He is most of the time in charge of finding and eliminating the spirits who can't find the peace, and stay on earth, wandering. But he also sometimes appear to living beings, to blame them for their crimes by capturing their souls. Soul eater : Creatures killed by the condemner can't be resurrected or animated. Dreadful presence : every living and every undead enemy stacks on the battlefield suffer -2 to their morale. Condemnation : instantly kills a number of creatures depending only on the number of condemners. Activated ability. Similar to "Hand of death" from homm4. Note that Soul eater apply here too. 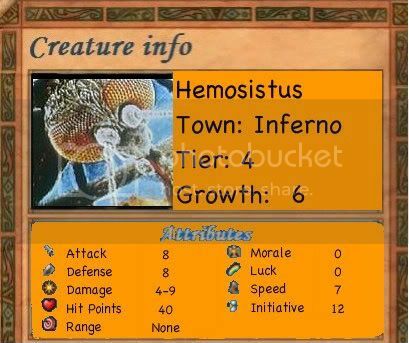 The Hemosistus is a massive infernal mosquito, mounted by specially trained imps that have a blood connection with these predators that are driven to the brink of madness with bloodlust. The Hemosistus can entirely drain the blood of an elephant, and were it not for the demonic masters that watch over it, it would simply drink until death. There is a permanent dimensional gate to hell inside this creatures stomach, which will boil and saturate the blood it drinks with hellfire energy. 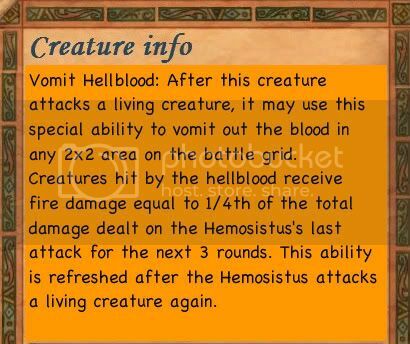 A Hemosistus may then vomit the fiery blood out onto it's targets, burning them to death. A Hemosistus is in a constant state of torment because of the raging fire within it's stomach, and drinking blood is the only thing that gives it a temporary reprieve from it's agony.